In a small frying pan on medium heat, brown the diced pancetta. 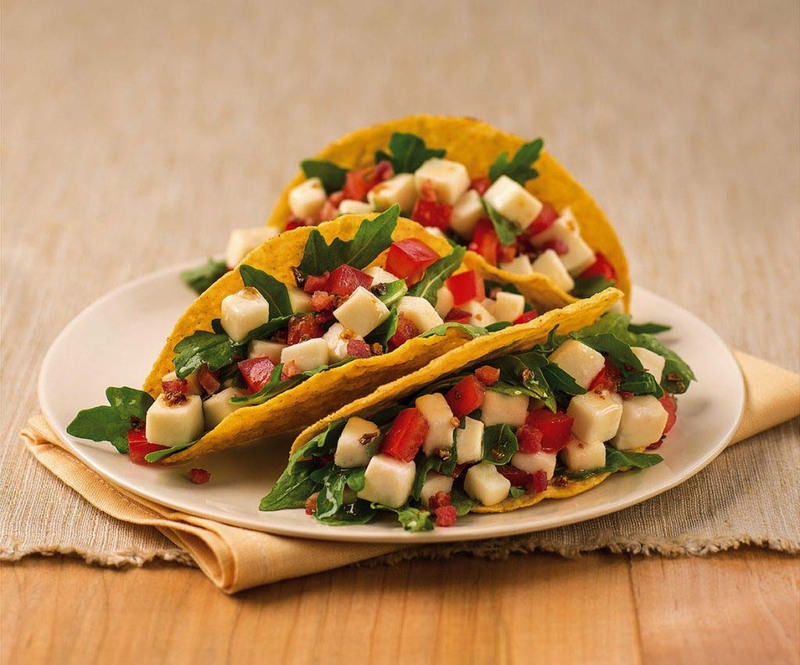 Fill taco shells with arugula and tomato. Finish pancetta and place in taco shells using a slotted spoon to remove any excess grease. Top with fresh mozzarella, drizzle the chili lime dressing over the top and serve. Break up dry chilies and add to a bowl with oil and 1 Tbsp. lime juice. Whisk together with salt and pepper, then finish dressing with the zest of lime.